Eye-Gouge! 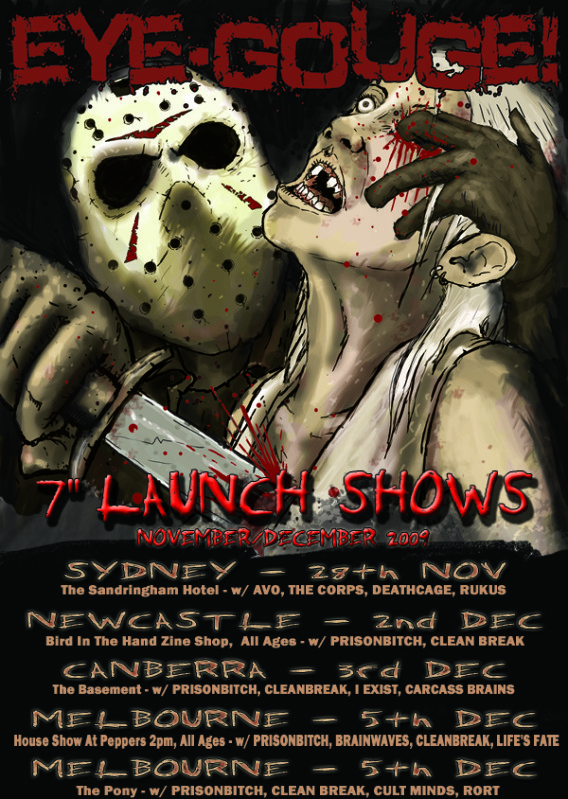 is doing a tour along the coast for their new self-titled 7″. 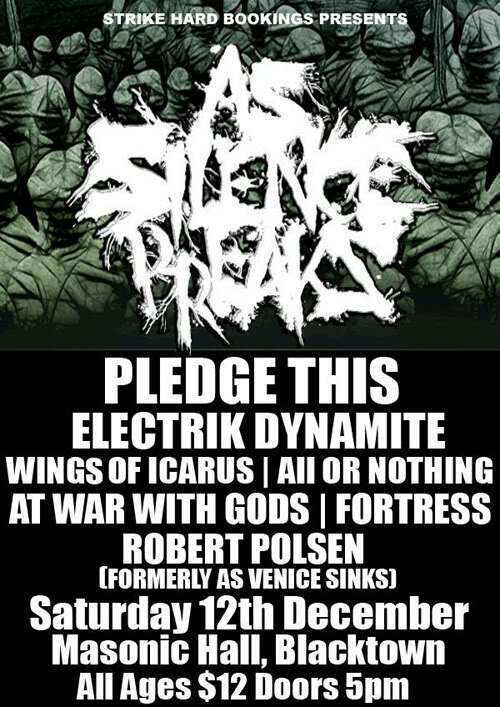 Also playing two shows in Melbourne. 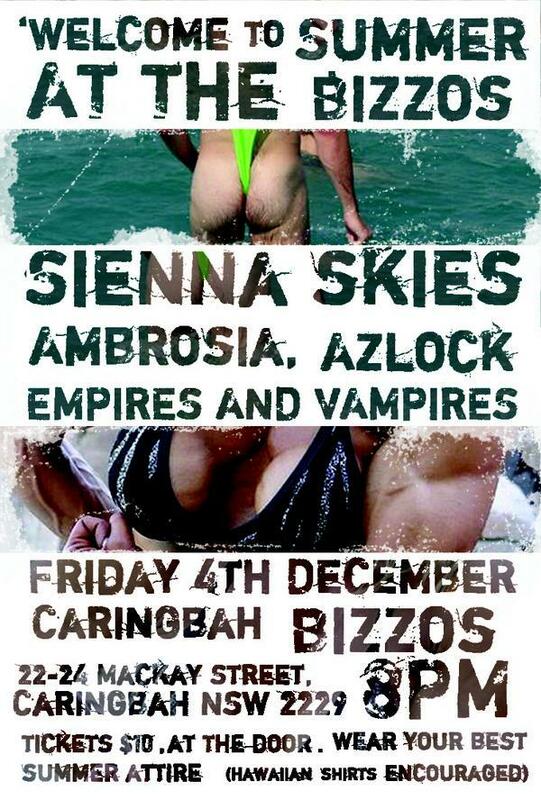 Don’t miss AVO’s last show at Sandringham Hotel tomorrow night! 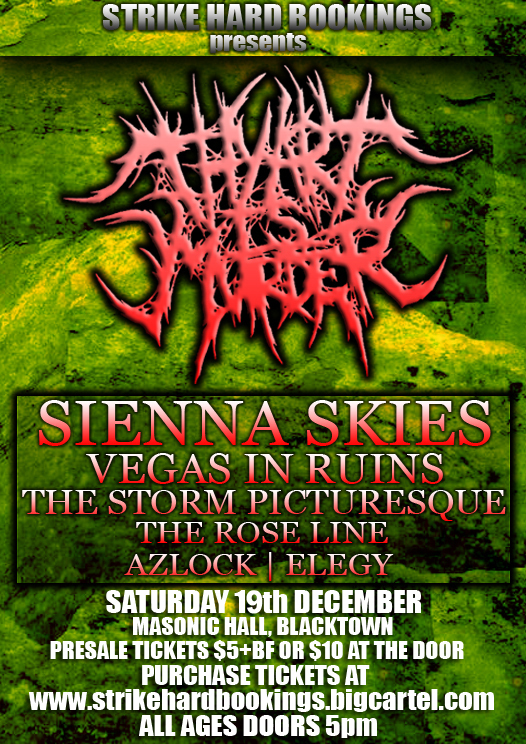 Here’s a few shows I missed last time ’round: Sienna Skies at Caringbah Bizzo’s, As Silence Breaks at The Fitz, and Thy Art Is Murder at Blacktown Masonic Centre. 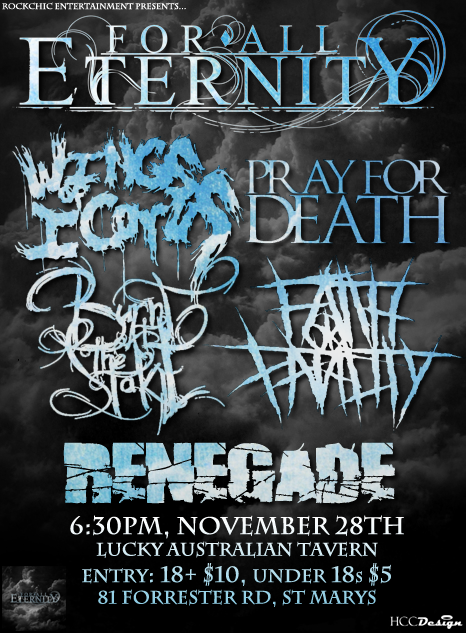 For All Eternity, Wings of Icarus, Pray for Death, Burnt at the Stake, Faith or Fatality and Renegade. Next Saturday at Lucky Australian Tavern. 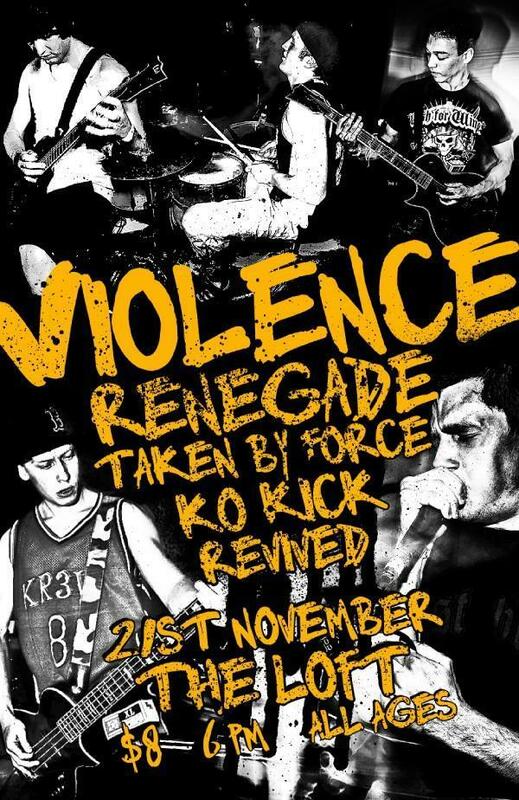 Violence, Renegade, Taken by Force, KO Kick and Revived are set to play at The Loft, Newcastle this Saturday. 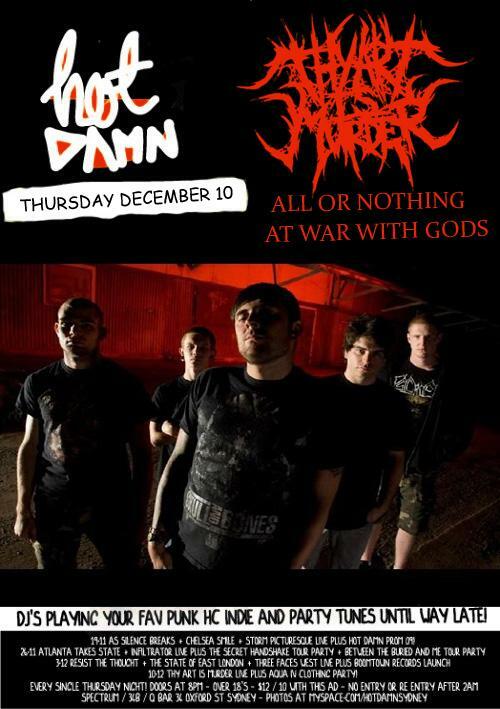 A string of four shows on consecutive nights, all featuring All or Nothing and At War With Gods. A Tour? 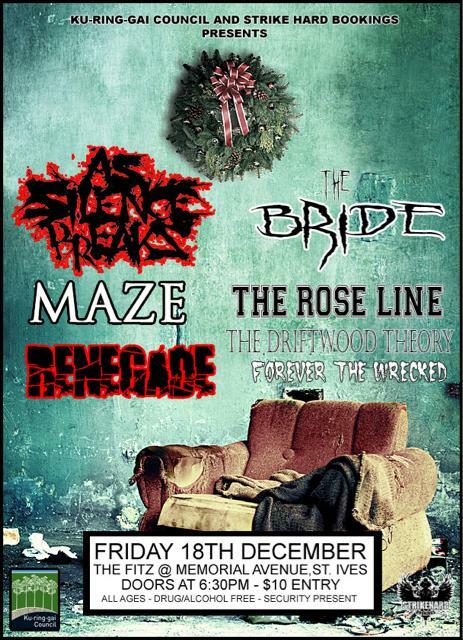 Also playing are As Silence Breaks, Thy Art Is Murder and others.